We are eagerly counting down to the premiere of ‘Road to Yesterday’ by The Entertainment Network. BN has brought you the first (click here) and the second (click here) teasers introducing the movie directed by Ishaya Bako and featuring award-winning actress, Genevieve Nnaji as well as Nigerian-British actor, Oris Erhuero. The movie also has strong supporting leads in Majid Michel, Chioma ‘Chigul’ Omeruah and veteran actor Ebele Okaro. 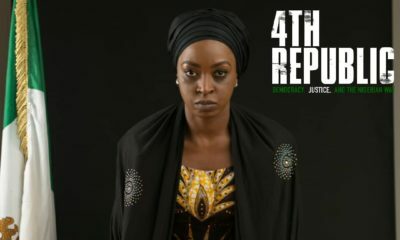 In case you missed it, the movie is set in Lagos and tells the epic love story of a couple desperate to mend a broken marriage on a road trip to a relation’s funeral. However, the journey itself throws up secrets from a distant past, imperilling a lot more than just the marriage. The original screenplay was written and directed by Ishaya Bako, a London Film School Alumni, and creator of a series of highly acclaimed festival favourites, including the award winning “Braids on a Bald Head” (Best Short Film at the 2012 AMAA Awards). 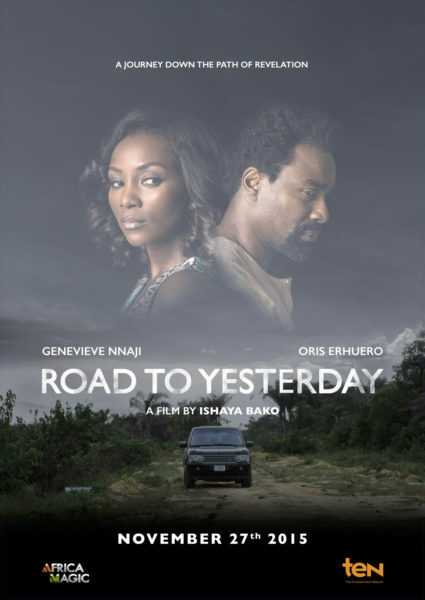 Road to Yesterday is Ishaya Bako’s feature directorial debut. this euphoria will kill me.where are those wet blankets. now u wanna predict the movie? i love the fact that she featured chigurl to start with. i cant wait to get my tickets cos i’m gonna be at theb premiere live and direct. Even if my oga nor gree, i resign biko. lol. Shes been off movie for 5years, definitely, this will be a good come back. Lol @ I resign biko. I know that feeling too. Cant Wait!!! The KING is BACK!!!! Now this is more like it!!!! I CAAAN”T WAIT! Plus there’s Chigul again??! Yessssss! The publicity for this film is real! 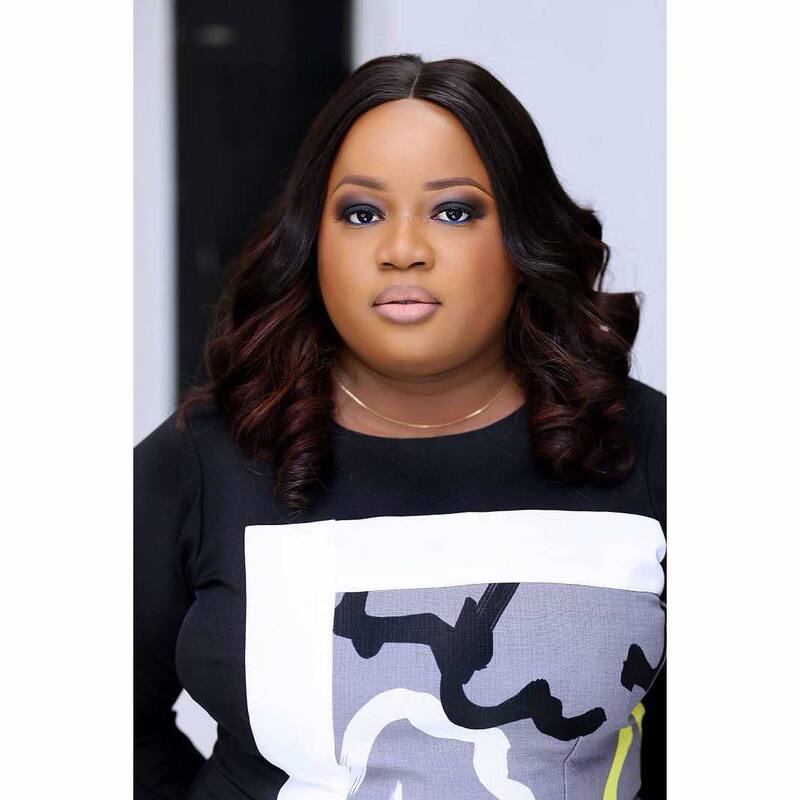 Much ado about a movie trailer…..
Lol, Chigurl…even her pic is funny. I swear. Where she opened the door and tilted her head, found that so funny! Never liked her acting, not a versatile actress. She is always acting the big babe, butter girl roles. Give me Mercy Johnson, Bimbo Akintola, Patience Ozorkwor, etc any day. plus she is h.a.r.d. Always bone face. Not hating o, Genny voltrons, Just saying it as I see it.